Looking for a festive spread for the holidays? 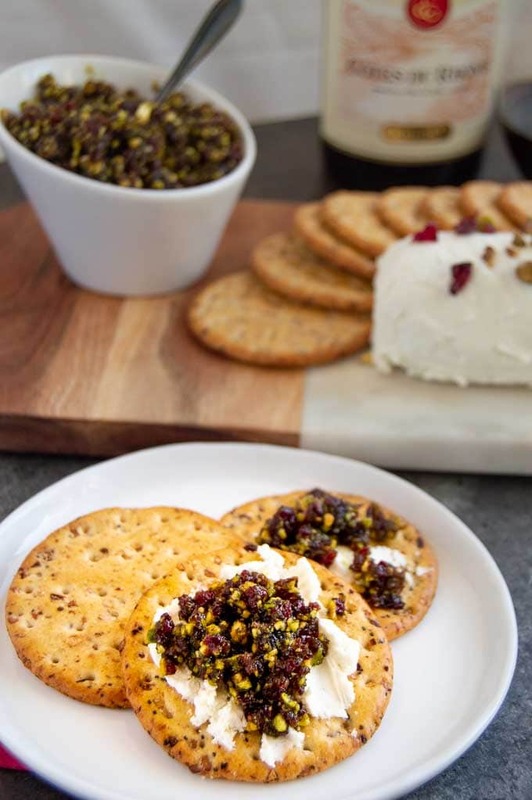 This Cranberry Pistachio spread is not only easy peasy, but bursting with flavor and just the thing for a simple appetizer. Spread it on your favorite cracker over cream cheese and it’s a mouthful of deliciousness. Inspiration. It comes from the strangest places. A couple of years ago I found a bootcamp to get myself in better shape. I didn’t know it at the time, but I met some amazing people who are supportive, fun, drama-free and most of all……… they push me to do better. I have done things in the past year I never could’ve dreamed of doing a few years ago; A 5k run, a Spartan Sprint Race and starting this blog. Three of the people I met are running a Spartan Super this weekend. While I’m not doing this race with them I wanted to do something to let them know I’m inspired by them, and happy they are in my world. Food for the trip is the perfect thing. My first thought was cookies, but wanted to give them something more in line with the race. You know, a little bit health conscious and some unexpected fun! 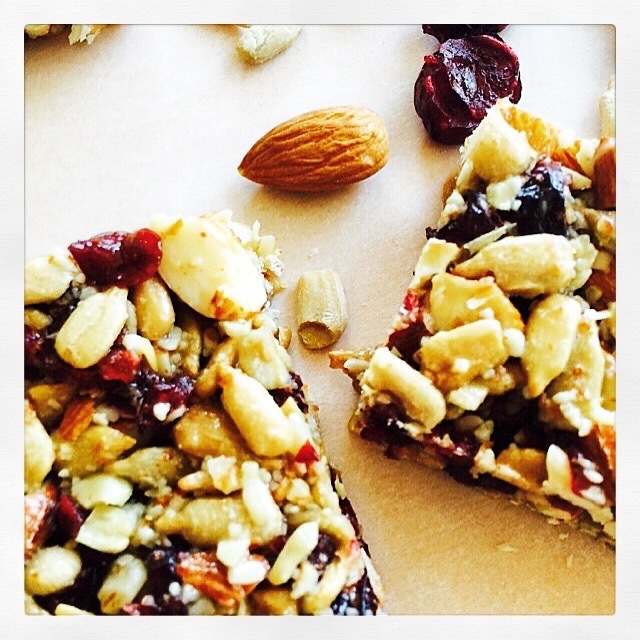 Thus, the Cranberry Almond bar seemed ideal….